We usually associate a Diamond Rectangle unit with a traditional Storm at Sea design, but think again! Sea Glass is a great example of what else you can do with this simple unit. 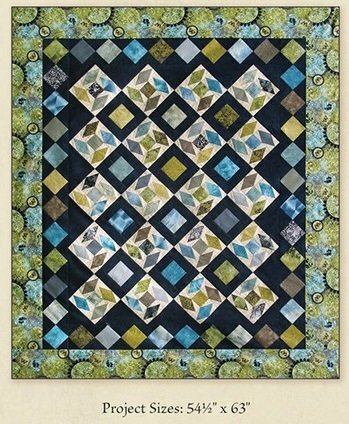 Choose a focus print, pull some coordinating fabrics from yo9ur stash, mix everything together with a light and a dark and you're headed for a great looking quilt. Besides your sewing machine and basic sewing notions you will need the Studio 180 Design Diamond Rects tool, Studio 180 Design Tucker Trimmer I, and the Sea Glass pattern.